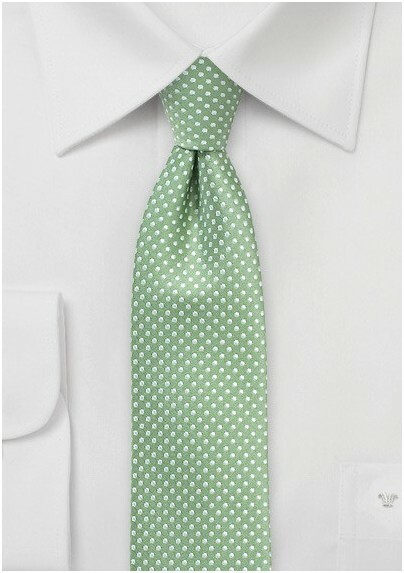 Pull together your most impressive look yet with our ultra chic Skinny Pin Dot Tie in a fashionable shade of sage green. This versatile hue looks handsome with both summer + winters suits! We also recommend pairing it with your collection of casual button downs. Designed by Puccini and made from a wrinkle resistant microfiber. 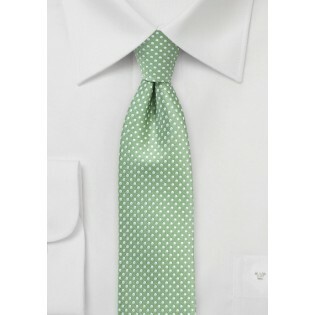 Tie Length: 58", Narrow Width: 2.75"